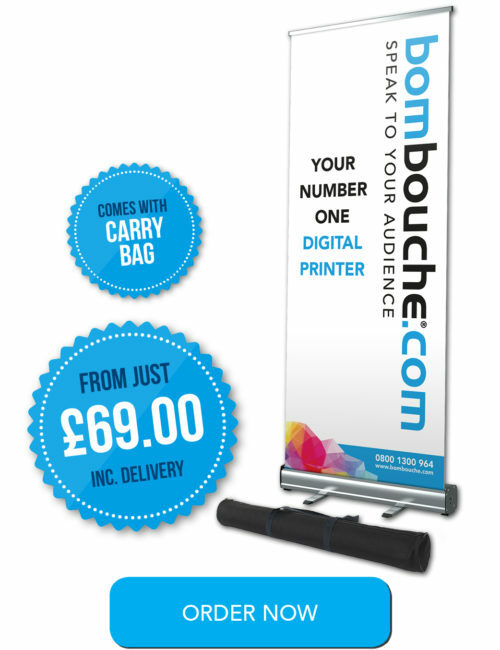 Bombouche offer a range of roller banners, complete with stand and black carry case in full colour digital print. Our roller banners (sometimes also known as pop up banners) are all printed on non-reflective, light stop, grey-backed material. Which means that you won’t see shadows behind the banner and the image and text will maintain its clarity in varied lighting conditions. Our banners also have lay flat properties which help eliminate curling on the left and right hand edges of the material. 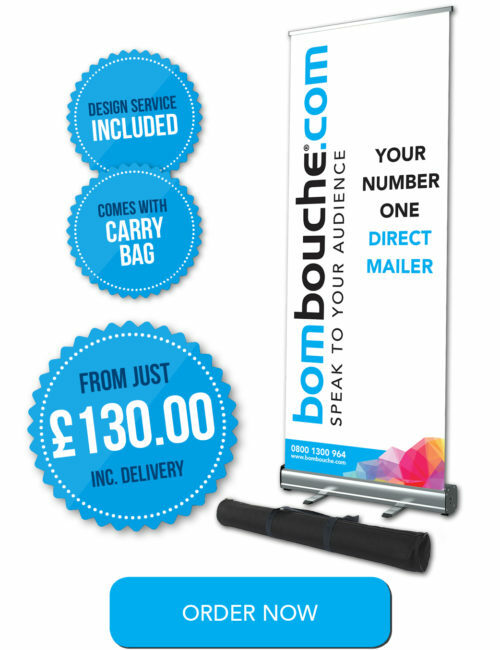 Standard sizing is 850mm wide x 2000mm tall and banners can be printed with just text or full colour images.